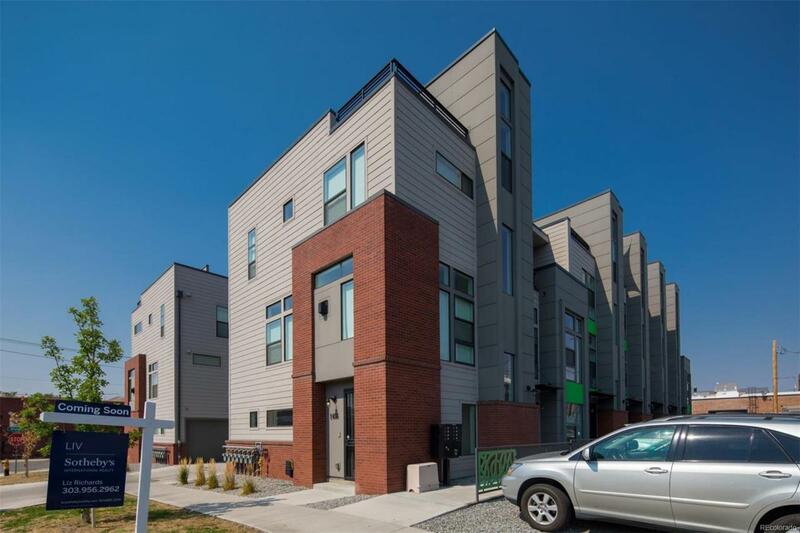 Sprocket Design Build Townhome in the heart of RiNo, leave your car at home*Ramble Hotel, The Preservery, Barcelona, Epic Brewery, Central Market and Lightrail all so close! *Superior finishes consist of: Contemporary European cabinets*Solid Quartz-stone counter-tops*under-mount steel gauge sink, Kitchen-aid ss appliances*gas fireplaces*clear coat solid core birch wood interior doors*10ft Celinings*Spacious master bedroom with walk-in closet, Guest bedroom with en-suite bathroom, 12 X 24 designer tile in master and guest bathrooms,1.5 car garage with extra storage space. Located in the BEST part of RiNo* The stunning mountain and City Views from you spacious rooftop balcony will not disappoint. $100 MONTHLY MAINTENANCE FEE covers water,sewer,trash,snow removal and landscape. Top Notch Row Home in the heart of the coolest neighborhood ever.